We're Running Out of Anti-Heroes! 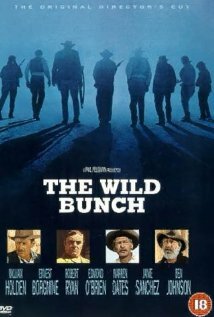 The Wild Bunch (1969) was arguably Sam Peckinpah's greatest tribute to cinema violence. Essentially, almost every major character died in the bloody shoot-out that ended the movie. In real life, many of the main actors have also passed away during the past 42 years. 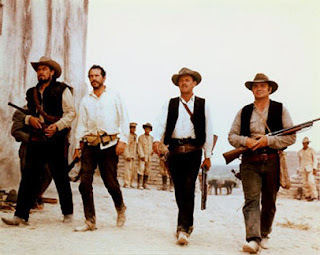 As for the three "other" Wild Bunch characters who survived to the final shoot-out:? William Holden ("Pike Bishop"}died in 1981 at age 63. The rumor is that he got drunk on vodka in his home one night, fell down and hit his head. Too drunk to realize that he was seriously injured, he went to bed and bled to death. This information is also from the autopsy report and resultant book by the L.A. County Medical Examiner. The "Anti-Anti-Heroes" in the pursuing posse did little better in the Survival Lottery. Strange, that the actor who played 'first to die' in the movie is almost the last to die in Real Life.